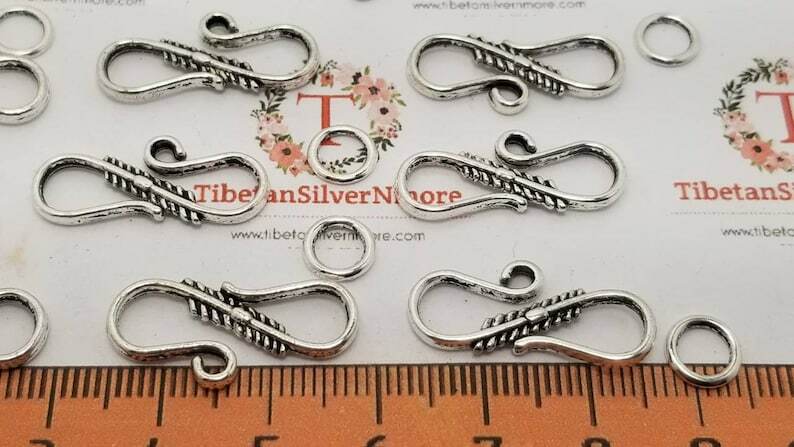 24 sets per pack 23x8mm S Hooks Clasp with 1 soldered Loop Antique Silver Finish Lead free Pewter. It's about 2.5 gram each set. Great looking S Hooks also can be use for left hand of right hand clasp.